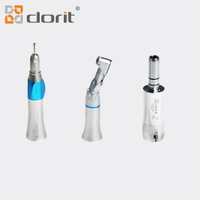 A review of the development of dental equipment - Henan Dorit Biotechnology Co., Ltd.
From the beginning of the bow type drill used in seventeenth Century, to the spring type "in eighteenth Century Semir's" dental drill, nineteenth Century mid pedal dental drill out, middle has experienced a history of more than 300 years. Early lifting, dental chair steering is mechanical, the operation is very inconvenient. 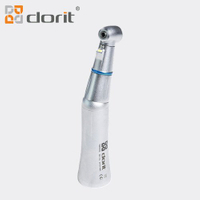 Mobile phone cone is produced in the pedal type dental drill, the clinical application of the straight front and bent headstart. The configuration and function of dental chair also can only forextraction and simple repair, the treatment of the dental caries. Until today,some remote areas are still in the use of this machine. Since then, due tothe use of electricity increased drilling speed and torque. In early twentieth Century, the wall hanging type three curved arm dental drill, its speed up to4000R / min, some even up to 10000 R / min speed, now we are still in thethree curved arm dental drill rope pulley transmission widely used is itsderivatives. 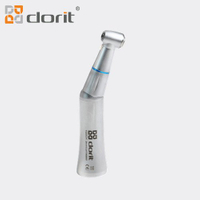 In twentieth Century twenty, the comprehensive dental treatment machine, and rapidly in the wealthy widely used. Comprehensive dental treatment device is a device developed in only a single functionbased on the dental chair, in addition to the rope round the three curvedarm type drill machine, also equipped with dental lamp, mouthwash slobber,spittoon, tray, water, saliva suction device and a foot controlled switchdevice, comprehensive therapeutic table once again raise the performance and health condition. 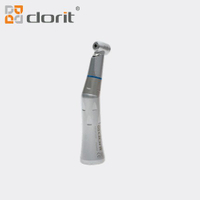 The dental chair from mechanical transmission to themotor level, water cannons and saliva suction device powered bycompressed air pump, the electric air pump noise, poor stability, butcomprehensive treatment of its functions greatly improved. 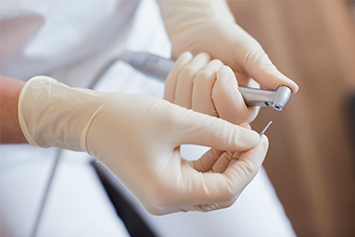 But even if is10000 R / min speed is high speed in terms of motor, it can only provide thecutting speed 0.8m/s, peeling, cutting and grinding operation, patients still feel discomfort.